The Burnsville Blazettes had their 2nd quad of the season on Tuesday November 27th. Both Varsity and JV performed at Prior Lake yesterday. They competed against the teams in their conference. This was the last jazz conference meet until December 15th when they have their conference finals with all of the teams. In honor of the competition, the girls dressed up as a team to show their school spirit. 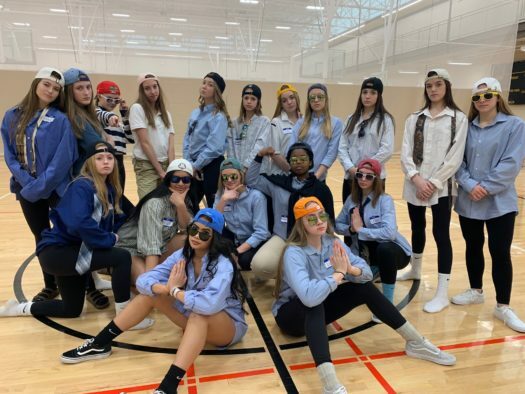 The Blazettes dressed up as frat boys for their competition. ‘We did better than last week, they really pushed the performance.” The coaches for both teams stated. For placements, Varsity jazz got 3rd and JV got 2nd. “ I’m so proud of the girls, they did so good.” JV coach Abby said about the JV jazz team. Their next quad is a Varsity kick quad in Shakopee.